This thing was much lighter than expected. The fit and finish was nothing short of perfection, and the packaging was well done and easy to open (bonus for those who are super excited).I got home and instantly threaded it on my new Scorpion. 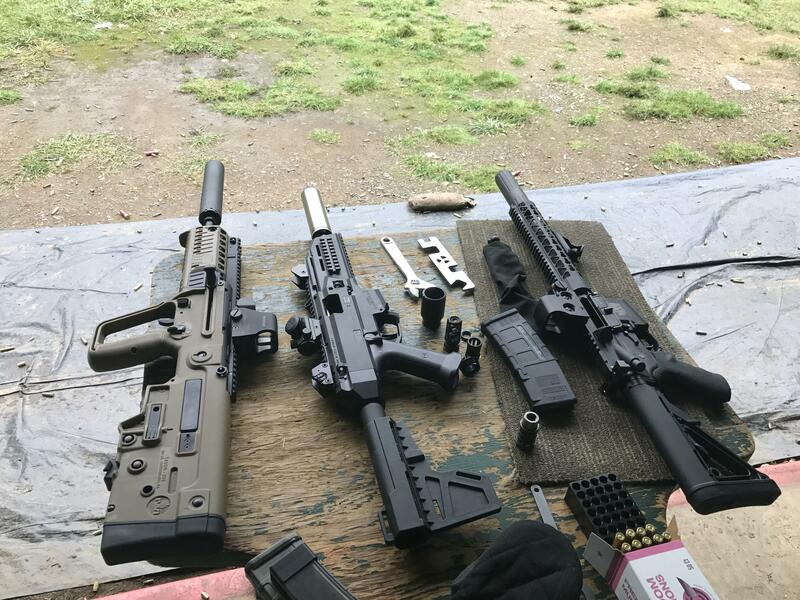 Range time!! 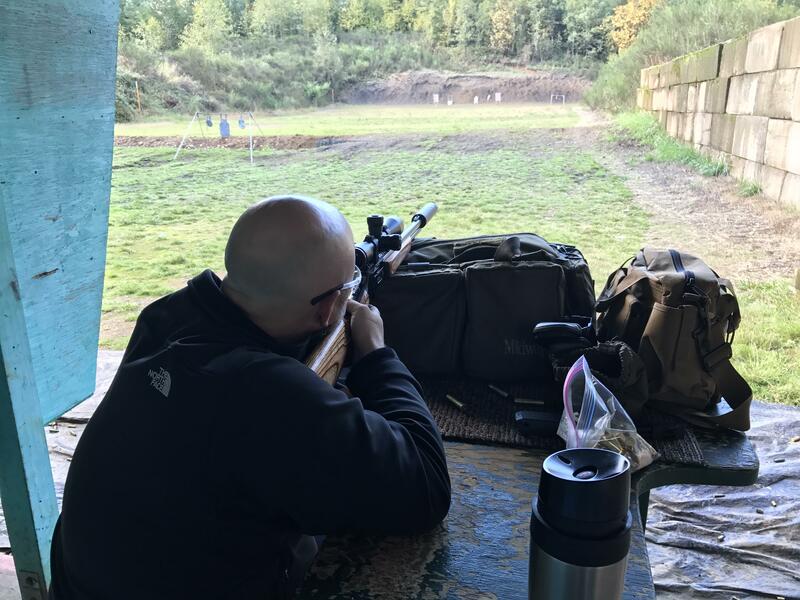 Nick, Steve and myself headed out to the Evergreen Sportsmen’s Club in Olympia. I’ll let some pictures do some of the talking here, read the captions for details. Nick shooting the Hybrid on the G41 – See the smile? My intention was to take a LOT of photos today, but I failed. We had so much fun shooting, comparing and BS’ing that I just got lost in the moment. 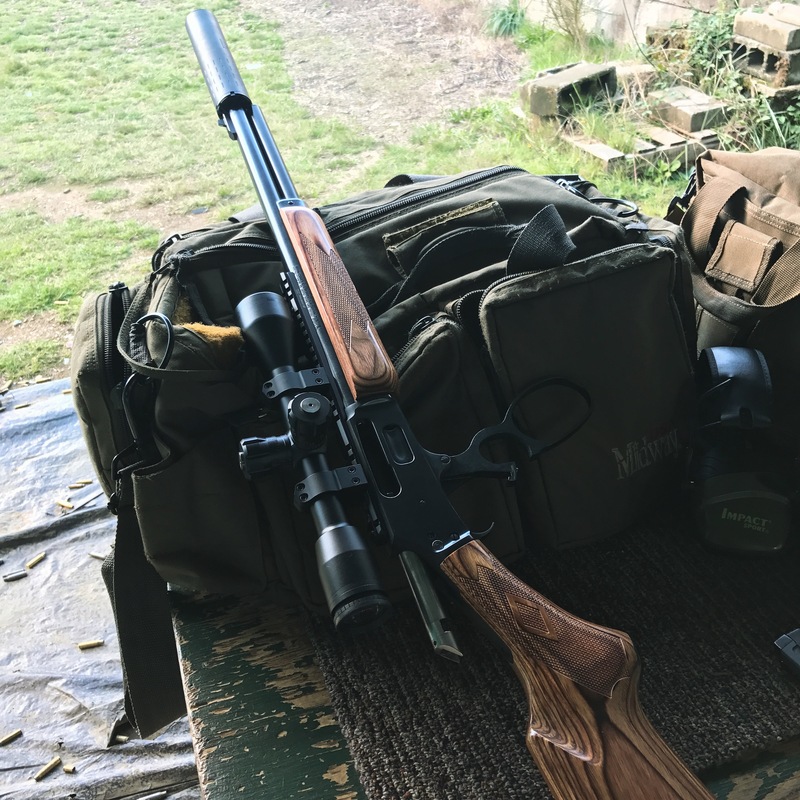 We shot this MOAC, side-by-side, against 2 different Form1 home made .30 cal cans, a Liberty Constitution, a Huntertown Arms Kestrel 5.56 as well as the SilencerCo Octane 45 & an Omega. Let me tell you that the Hybrid did NOT disappoint. 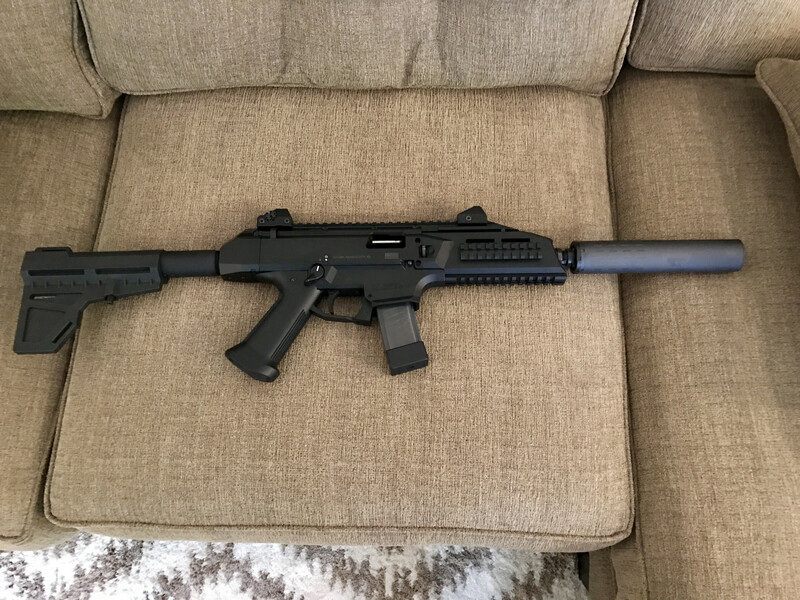 If anything it out performed all the other cans that we had on all of our platforms used; Tavor, Scorpion, XDm, G41, AR’s, etc. And as the above picture hinted to.. Yes, we did have a .45-70 there. 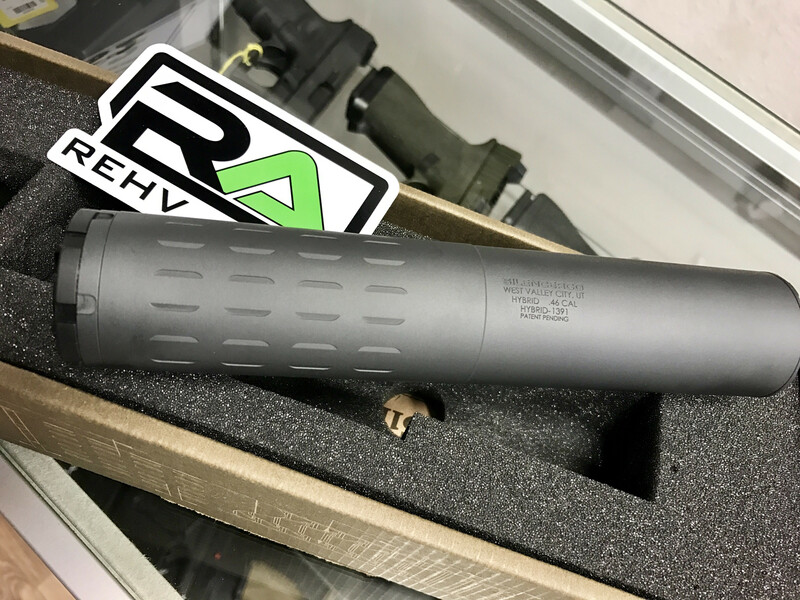 Steve is also waiting on the .gov approval for his Hybrid and preemptively bought this bad boy, then had it threaded by Fred at C.A.R. Firearms. Besides SHOT, I had never shot a .45-70 before. We warmed her up and sighted her in before attaching the Hybrid and that sucker KICKS like a mule, with a wild barrel. But as soon as we attached the Hybrid, she was tamed. You could ALMOST keep the target in the scope at as each round went down range. Oh, I almost forgot the mention, totally hearing safe. No ear protection was needed. I’m sure you will see me writing some follow-ups to this, as I feel I will be shooting my new MOAC a lot more and frequently than my other cans. If you haven’t had a chance to get your hands on one, do it. 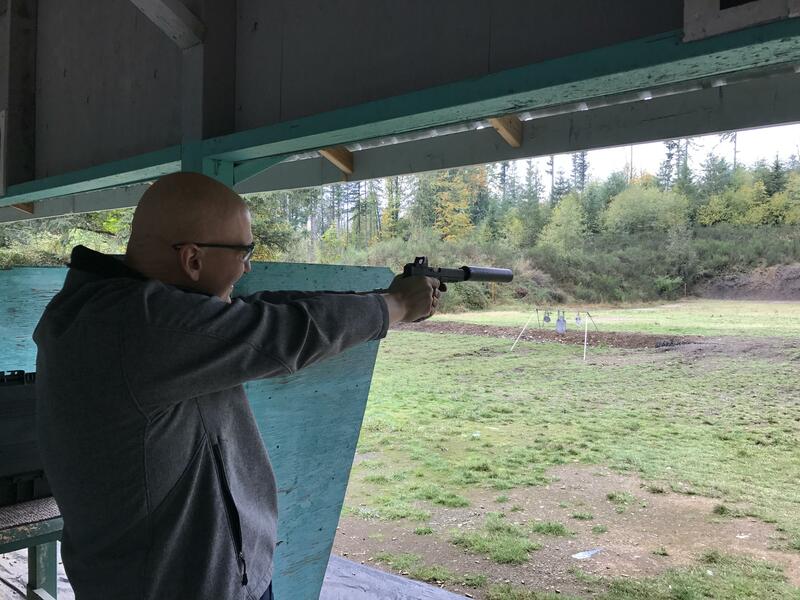 If you are ever in the Olympia area and want to try it out, I am sure we can meet up at a range for a playdate. Stay tuned for part 2 and more! Previous PostWaGuns Camping Reviews: SunJack 14W + 8000mAh BatteryNext PostTacPack – A gear subscription, for us. That G41 was sporting a Lone Wolf Barrel.